In recent episodes of Macross Delta, it is revealed that the Song-based attack of planet Windermere affects “Delta Waves” found in living beings. That means there is only one valiant figure who can save the galaxy, one who was transported into the future through what might appear to be a freak accident but we know is actually by design. Philip J. Fry was born with a unique gift. As a result of being his own grandfather, Fry is the only living being that does not emit Delta Brainwaves. If Delta Brainwaves and Delta Waves are the same thing, that means that Fry would be as immune to the Song of the Wind as he is the attacks of the Brainspawn. Save us, Fry. The galaxy needs you. 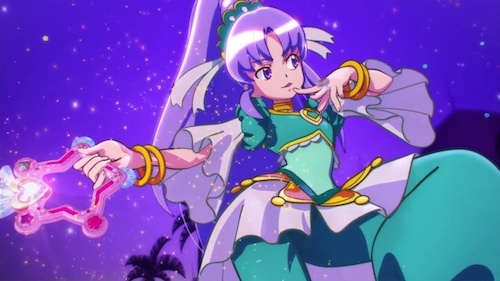 In Episode 23 of HappinessCharge Precure!, the character Cure Fortune reveals a new attack: Precure Oriental Dream. 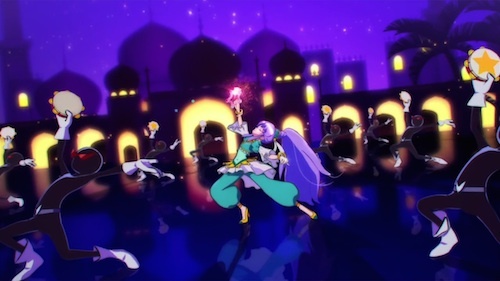 Cure Fortune appears in a Middle Eastern-influenced outfit and performs a dance that causes the enemy minions to fall over. Upon seeing this, I made the following tweet. I was making a reference to a seminal book in post-colonial studies, Edward Said’s Orientalism from 1977. In it, he famously argues that the “Orient” is not a neutral description of an area of the world, but a conglomeration of various cultural, philosophical, academic, and imperialist modes of thought and action that position the “East” in such a way so as to define the “West” as superior. That said, this is not me trying to demonstrate my knowledge. Instead, what I would like to point out is the fact that, as important as I’ve known this book is, I’d still never read it, and it was only after making the joking tweet that I decided to actually seriously sit down and look at Orientalism. Seriously, it wasn’t the fact that I should be aware of how my growing up in the United States while being Asian might have influenced my perception of Asia, nor was it being in the company of intelligent people who have used this book as the background for their own investigations into cultural perceptions that prompted me to open it up. It was a dumb joke I made on Twitter while watching a magical girl anime. I’m not sure if I’m an awesome or a horrible human being. The game has been out for over a year. During this time, it’s widely accepted by the community that Pac-Man is bottom tier. Try as people might, no one can seem to do anything with him. 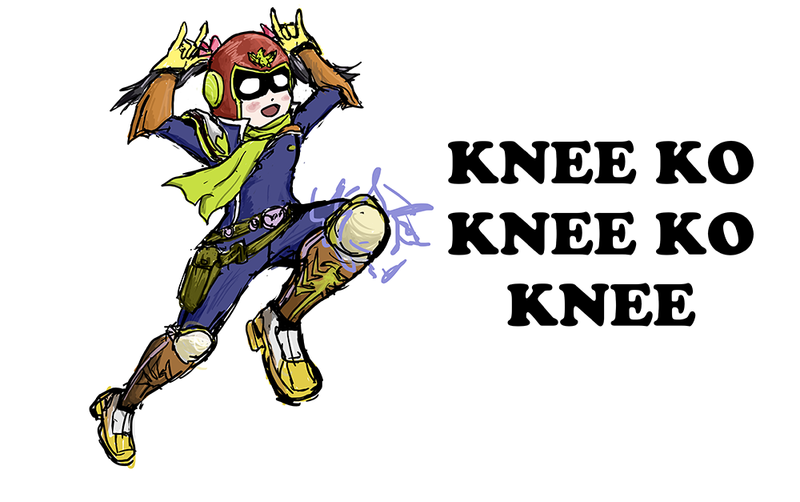 EVO 2016 rolls around and it’s by far the biggest Smash tournament ever for any game in the franchise. All of the big names are there, but one by one they fall to a mysterious masked challenger who, unbelievably, is 4-stocking everyone with Pac-Man. Strangely, he appears to be much older than the average demographic for Smash. Upon reaching the finals, the man removes his mask and reveals himself to be Billy Mitchell. Somehow, the skills that made him the first person to ever beat the Pac-Man arcade game have translated to Smash 4 almost perfectly. At this point, people are discussing if everything they knew about the game was wrong. However, there’s another unidentified challenger in a hoodie who, while falling to the lower bracket early on, has been tearing it up. In the finals, he also reveals his true identity: Steve Wiebe. Upon sitting down, they both set aside their mains and go straight for what counts the most for their pride: Donkey Kong mirror match. Gamers young and old start to watch. Just after the first set, people are declaring it the greatest finals ever in any competitive game, let alone Smash. At EVO are both the crew for a new The Smash Brothers documentary, and the director of The King of Kong. The next day, they announce their collaboration for a sequel to The King of Kong in the Smash realm. The film is released internationally and is so successful, it turns the esports documentary into the most popular genre ever.